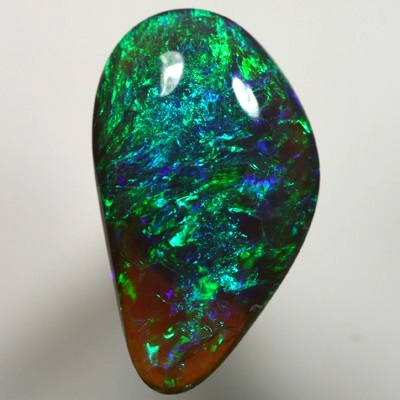 The fire in this opal moves continually as the opal is rotated. 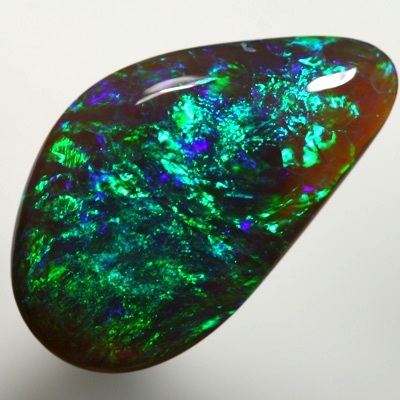 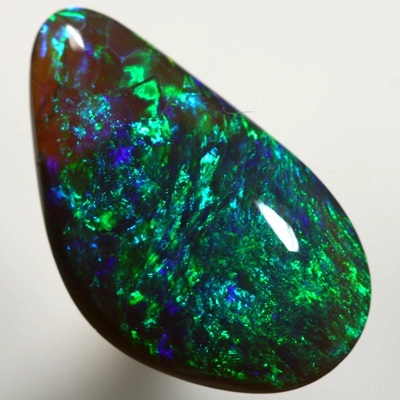 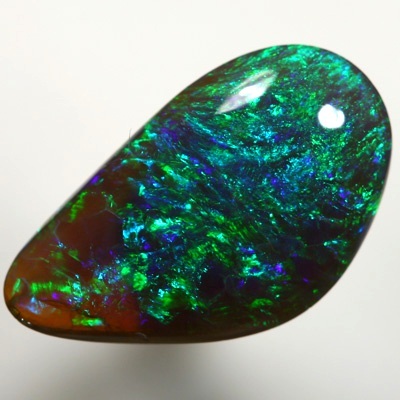 Lustrous colours of forest green to turquoise green, peacock blue and purple, all sparkling across and throughout the opal in a 3D pattern, giving a superb colour play. 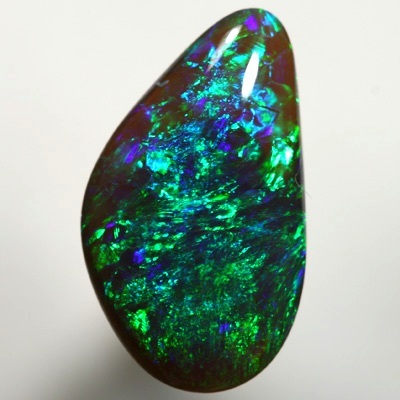 A stunning and beautiful gemstone, ready to be made into a beautiful piece of fine jewelry.